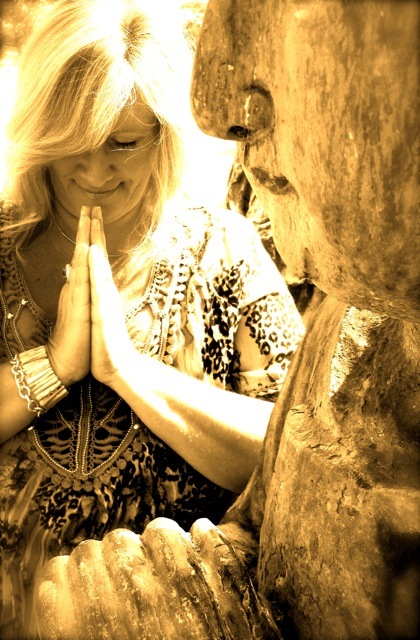 Pamela Rich, Board Certified Holistic Health Counselor, Chopra Certified Vedic Master, Licensed Heal Your Life® Workshop Leader & Coach, brings passion and compassion to her life's work of effecting positive change in the lives of those she meets. Having studied Holistic Health & Healing for over 25 years, she offers a hand-held holistic approach honoring the individual and creates a safe and non-judgmental environment for the individual to explore and grow, moving forward in their lives creating health and happiness. You will experience powerful shifts and insights from attending a class, workshop or even just one session! Pamela offers a wide spectrum of workshops, retreats, lectures, teleclasses to "enRICH" lives in a true holistic approach addressing all areas of mind, body, spirit. She has studied holistic health and healing for over 25 years and pulls from all her teachings in her work offering a very unique, comprehsive, simple, creative way to create lasting balance and happiness. The Heal Your Life®, Achieve Your Dreams Workshops are very powerful workshops based on the work of Louise L. Hay and have been attended by thousands of people worldwide. The workshops give participants an intensive format to learn the basic points of Louise's philosophy, to develop awareness of negative beliefs, to release old emotions, to love themselves more fully, and practice the techniques for changing their lives. During the interactive workshop, the participants will experience exercises that help them to identify old limiting beliefs, and then let go of them so that they can love themselves and others more fully. It's common place to have quite a few "aha" moments. We address the four aspects of self: body, mind, spirit and emotions guiding to insights on why one may be sabotaging themselves or recreating the same undesirable situations over and over in their life. What is a "Vedic Master"? To earn the distinction of the title “Vedic Master,” a teacher must be certified in all three branches of the Chopra Center’s Teachers Path: Primordial Sound Meditation, the Seven Spiritual Laws of Yoga, and Perfect Health. Our Vedic Masters have made a profound commitment to their own personal growth and daily practices, and they all have a great love and passion for teaching and sharing the healing tools of Ayurveda, meditation, and yoga. All workshops are kept to a small size to allow for one-on-one attention within the group setting. Everyone will receive an unreasonable amount of attention & support and no one will get lost or be able to hide...You will be guided in a hand-held approach every step of the way!